We had this tonight, and it was very good! 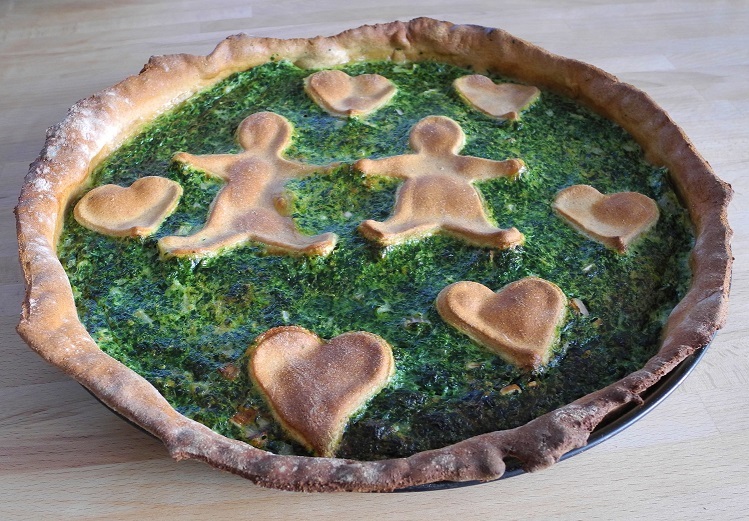 I’ve translated the recipe from a Swiss recipe for “Spinatwähe”. If you like savoury pies, you’ll like this one! Lay the rolled-out dough into a buttered round pie tin; purée the filling together and then pour into the pie dough and sprinkle the diced ham over the top (or stir it into the filling before pouring in, whichever you prefer). On the lowest rack of the oven, bake at 220°C for 25-30 Minutes. Here’s a recipe that’s fast, simple and delicious… it can’t get any better than that! A batch of these freshly roasted will liven up a party, or make a nice, healthy snack for some time to come. For another great recipe to match, try my smoked almonds too! For a twist, try adding other spices instead of salt, or just let the taste of the nuts come shining through. Eat them as-is, or sprinkle them over salads, or Asian, Indian or Persian cuisine. To start off, pre-heat your oven to 350°F (180°C). You’ll need a shallow baking pan (and a piece of baking paper or baking mat), a bowl and spoon. Spread cashews in a single layer over the pan (you might need to use more than one pan, depending on the size). Then roast for 10-20 minutes, stirring occasionally, until they are golden-brown. Keep an eye on these, as they can tend to burn! Pour them into a large bowl, add a bit of oil (start with a tsp. 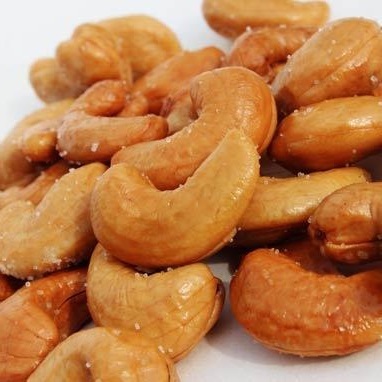 or less) and stir, coating completely—if the nuts are stirred well it won’t take much oil at all!—then stir in salt (start off under-salting, and add to taste – it’s easier to add more than to remove!). Done!